GOJEK Unveils GoalBetter Benefits Programme for its Singapore Drivers « Tech bytes for tea? GOJEK is partnering with Esso and DBS – Singapore’s largest petrol and bank networks, respectively – to provide its drivers with competitive fuel rebates (of up to 32.4%) in Singapore. “At GOJEK, our driver-partners’ success is key to our success. There are many reasons for becoming a driver. Whatever our driver-partners’ reasons are, we are committed to supporting them in achieving their goals. 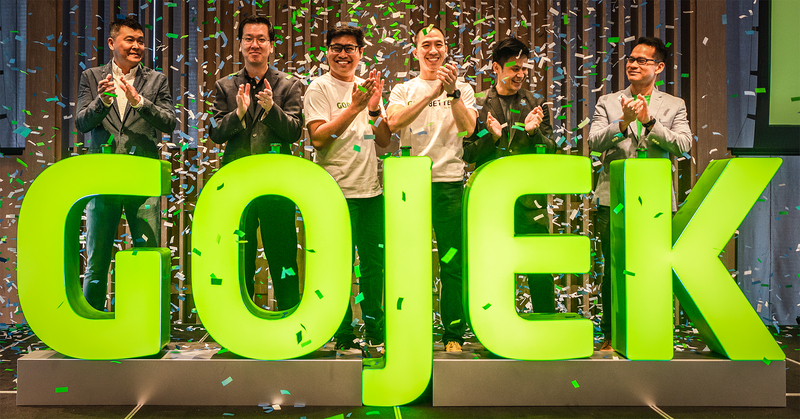 This means providing earnings stability, a fantastic work environment, and unwavering support to help them get closer to their goals every day, with every ride,” said Lien Choong Luen, general manager of GOJEK Singapore. All GOJEK driver-partners will enjoy an upfront discount of 20% when they purchase petrol at any of Esso’s 61 retail service stations around Singapore. Driver-partners who use their DBS/POSB Debit Cards to pay for petrol at Esso petrol stations can enjoy an additional weekly rebate of $7.50 by simply spending at least $180 nett (or $225 before the 20% upfront discount) in a week. GOJEK is partnering with Gigacover, a Singapore-based insurance technology company focused on the protection needs of freelancers, to offer all GOJEK driver-partners a standard earnings protection coverage of $80 per day. “GoalBetter is a key component of GOJEK’s global driver ecosystem and I’m thrilled to launch it here in Singapore. GoalBetter complements the Swadaya programme we have in Indonesia, with both programmes seeing us partner with companies that have a common vision to enhance the well-being of our driver-partners, such as through insurance or financial planning,” said Raditya Wibowo, GOJEK’s Global Head of Transport. Driver-partners need only to pay a single, subsidised monthly rate to Gigacover. This rate is dependent on age and ranges from $22.40 to $130.80. GOJEK’s scheme will cover driver-partners for medical leave of up to 21 days and hospitalisation leave of up to 84 days – in what will be the most extensive earnings protection coverage offered to private-hire drivers in Singapore. Top active driver-partners – those in the Gold and Platinum tiers – will enjoy free coverage for the whole quarter paid for by GOJEK. GOJEK is partnering with Doctor Anywhere – a Singapore-based on-demand video consultation platform that connects users to certified doctors – to provide all its active driver-partners with convenient access to online and physical medical consultation services. Driver-partners will also be entitled to a partner rate for each medical consultation, where they can be diagnosed and treated for common illnesses, prescribed medication, and issued medical certificates and even referrals. Top active driver-partners – those in the Platinum tier – will receive additional medical benefits fully subsidised by GOJEK. As part of GoalBetter, GOJEK driver-partners enjoy various initiatives that offer them better flexibility. One of them is the ability to make unlimited real-time withdrawals of their earnings from their GOJEK wallets, with no minimum requirement. “GoalBetter reinforces our long-term commitment to Singapore and to bringing choice back to the ride-hailing market here. Stay tuned as we continue to add new partnerships and driver benefits to GoalBetter, and create the best offering for all of our users!” added Wibowo. This gives driver-partners greater flexibility in securing and spending their money, which is important given their diverse needs. Driver-partners will get a better experience through continuously-refined policies and user support. The recently updated ‘Lost & Found’ policy, for example, entitles drivers to a reward of $10 – double the previous amount of $5 – for returning lost items to riders. User support for driver-partners has improved, with over 90% of queries now being answered within 24 hours. Drivers also enjoy a better experience from being part of the GOJEK community, such as through GoBlazers, a driver community and innovation programme to pilot new ride-hailing products. Driver-partners will sign a non-disclosure agreement and be the first to experience new products and features by GOJEK. To-date, GoBlazers has amassed some 20 driver-partners. This entry was posted on Wednesday, March 27th, 2019 at 2:00 pm and is filed under App, Automobile, Gojek, Software, travel. You can follow any responses to this entry through the RSS 2.0 feed. You can leave a response, or trackback from your own site.